Maintaining a healthy, happy smile requires a lifetime of diligent maintenance, both at home with brushing and flossing and in the dentist’s office. 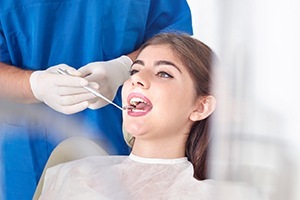 At Lakeside Daytona Dentist, we’re always happy to assist our patients with these essential fundamentals, providing comprehensive checkups, cleanings, and other services that are based around prevention. Our goal is to not only treat dental problems at their earliest stages, but stop them from happening in the first place as well. Please contact us today here in Daytona Beach, FL to schedule an appointment with Dr. Silva, or if you have any questions. It is strongly recommended that patients attend at least two checkups and cleanings every calendar year, or one each six months. 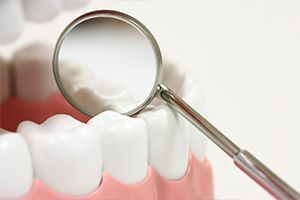 Even patients with a textbook approach to personal oral hygiene may experience troubling dental problems that could go unnoticed by untrained eyes, and a dedicated team like ours will be able to identify and treat them early on before significant damage can be done to your health and happiness. Our approach is truly comprehensive, and we will leave you with a smile that’s fully diagnosed and refreshingly clean by the end of your visit. Periodontal disease may start out as light oral bleeding and swollen gum tissue, but it can quickly grow to threaten your teeth, your jawbone, and your overall wellbeing. At Lakeside Daytona Dentist, our goal is to revitalize your gum health at the earliest possible stages to prevent permanent consequences. 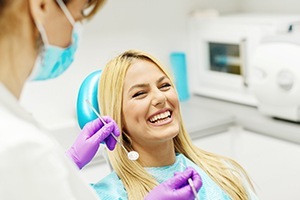 We offer an in-depth cleaning known as scaling and root planing that can target infectious bacteria beneath the soft tissue and preserve your strong smile well into the future. Patients who are especially sensitive to chronic tooth decay may benefit from the placement of dental sealants over back teeth (the premolars and molars). Because these teeth have such wide chewing surfaces and deep pits and grooves, food particles can gather there over time and cause the spread of harmful bacteria. Sealants are thin and tough plastic-based seals that will be painted directly over the teeth; once hardened, they block out this foreign debris from making a dangerous home in your smile. They’re easy and painless to apply, and they should do their job well for multiple years. Oral cancer claims thousands of lives every year, but we hope to minimize this number as much as we can here in Daytona Beach. Oral cancer screenings are a vital part of every regular checkup, during which Dr. Silva will carefully inspect the oral tissue, the head, and the neck for any symptoms that suggest the presence of cancerous cells. If we find any cause for concern, a biopsy can be arranged to more precisely diagnose the tissue. The earlier we pinpoint this disease, the better chances are that the patient can undergo a full recovery. If our team determines that your tooth enamel is becoming soft over time, you may benefit from added exposure to fluoride. This valuable mineral is found in most tap water supplies and several foods as well, and its presence actually helps to remineralize weakened enamel and even reverse early signs of tooth decay. Our topical fluoride treatment can be applied to the teeth as a part of regular cleanings, and the process is fast and simple. 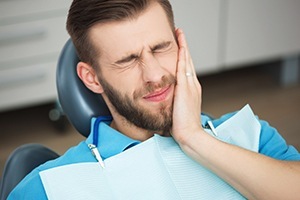 At Lakeside Daytona Dentist, we do our best to make time for dental emergencies during regular business hours and also assist patients over the phone who are experiencing a knocked-out tooth, a serious toothache, a facial injury, oral bleeding, or other serious situations. Our goal is to relieve your pain fast and help put your mind at ease as well.